The stunning Copacabana Beach is what always enters people’s minds when they think of the beautiful beaches in Rio de Janeiro, Brazil. It is vast, crescent shaped and very lengthy. It is absolutely perfect for swimming and sunbathing. It is bordered at one end by the widely known Pão de Açucar also called Sugarloaf Mountain that lies just off the shore, and on the opposite end, by the former Copacabana Fort. The beach itself is actually rather wide in areas and much plainer compared to the neighbouring Ipanema Beach. It switches into the Leme beach on the beach’s eastern area and ends with the Leme Mountain. This two and a half mile long beach in Brazil is one of the most attractive beaches all over the world. It is made very popular by the indoor and outdoor restaurants, bars, luxury hotels, night clubs, and casinos lined up from end to end. 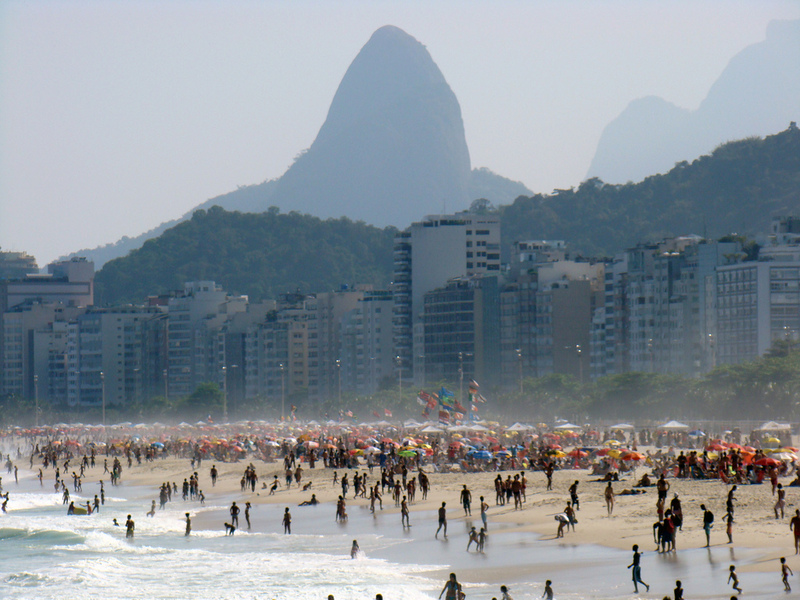 Thousands of tourists flock to Copacabana Beach every day. The Copacabana Beach is lit up every night by huge lights, providing a dreamlike feeling and appearance to the entire scene. In spite of the excellent lighting, it is said to be risky to walk around the beach at night and after dark is much safer to stay near the hotels. Majority of the tourists and the Brazil locals gather together in the popular Copacabana Palace Hotel at Posto 2 to about Posto 5. Across this hotel is the well known gay area of the beach. It is even marked by a rainbow flag and is raging with activity on sunny days. The most widely played sport on the Copacabana Beach is soccer. However, you can also find other games being played all over the beach from morning until the early evening. Just desire to say your article is as astonishing. The clarity to your put up is simply excellent and that i could think you are knowledgeable on this subject. Well along with your permission allow me to clutch your feed to keep up to date with imminent post. Thanks one million and please keep up the rewarding work.